Rome can get fiercely hot in summer, and kids really need some respite from the city chaos with some well-deserved splish-splash. 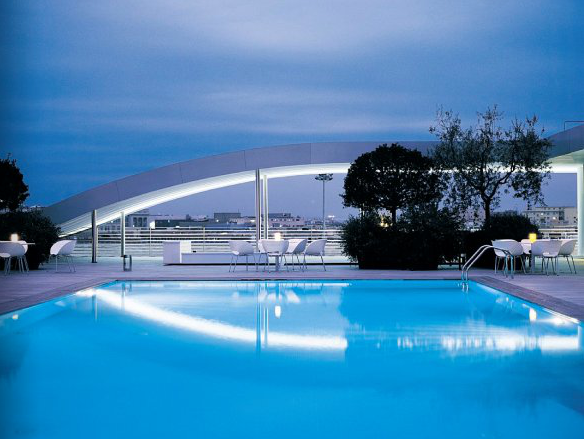 If you’re visiting Rome, and the children need a break between sightseeing monuments; or whether you’re residing in the Eternal City and looking for a swimming day, here are a few among the best swimming pools in Rome. Gorgeous olympic-size outdoor pool in newly built sports facility, with huge parking lot, and winter swimming classes in the indoor pool. Open daily 10:30Am to 6:30PM. Entrance fee weekdays €15; weekends €20, includes sun beds and umbrellas. 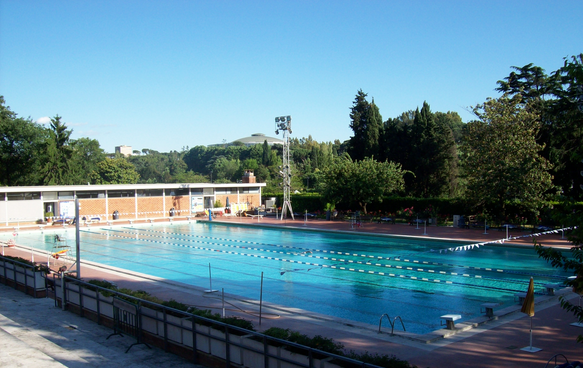 Centro Sportivo Villa Flaminia (Flaminio) Via Donatello 20 – Tel. 063216484. Immense sports facility with indoor and outdoor pools, fitness and swimming classes, day camp activities, courses and club house benefits, plus large guarded parking lot. Radisson SAS Hotel (Esquilino) Via Filippo Turati 171 – Tel. 06444841. Rooftop outdoor swimming pool with a special section for children. The restaurant also offers elegant poolside dining. Entrance fee: Adults €45 Mon-Fri, €55 Sat-Sun / Children 50% discount. Open daily 9AM to 7PM. Aldrovandi Palace (Parioli) Via Ulisse Aldrovandi 15 – Tel. 063223993. Small, select city-center boutique hotel, offers a sophisticated, outdoor swimming pool, shaded by palms and canvas umbrellas. Arrive early since space is limited around this mostly grown-up pool. Pricey entrance fees €40 per child, €80 per adult. Open Mon-Sun 10AM – 6:30PM. Nuoto Belle Arti (Flaminio) at Circolo Sportivo Ministero Infrastrutture e Trasporti, on Lungotevere G. A. Thaon di Revel, 3 – Tel. 063241710. 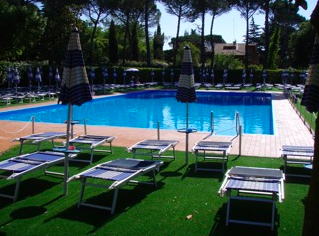 The sports club offers a very pleasant swimming pool for adults and children alike. Entrance fee: €20. Open Mon-Sun 8AM to 8PM. Isola Verde (Casalpalocco/Ostia) Via di Casalpalocco 89 – Tel. 3931209894 Facility which offers an outdoor Olympic and two swimming pools for children, lined with palm trees and shady canvas parasols. Offers swimming, aqua-gym and water polo classes, plus beach-volley, ping-pong, and foosball. Open daily 9:30AM to 7PM. Centro Sportivo Nadir (Balduina) Via Francesco Bonfiglio, 62 – Tel. 063013340. Beautiful 25-meter pool surrounded by lush grassy lawns and trees. Entrance fees: Mon-Sat €10; Sun. €12 plus sun bed rental €4; folding beach chairs €2,50. Open Mon-Sat 10Am to 5PM. Sunday 10Am to 6PM. Closes 2 weeks in August. Mallia Sporting Club (Balduina) Via Pantaleone Rapino, 18 – Tel. 0635346493. 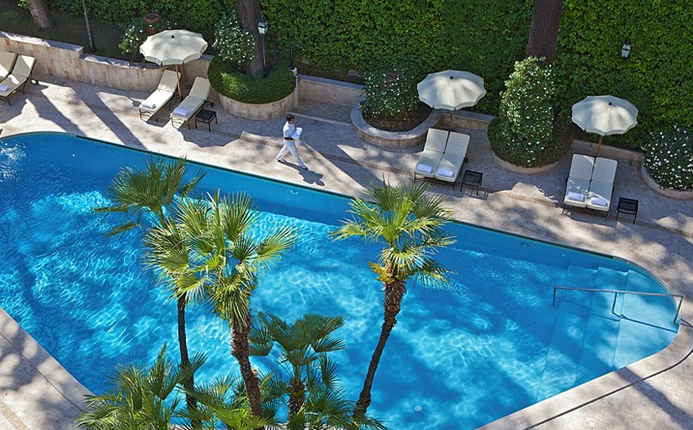 Outdoor 25-meter pool, with a surrounding expansive sports club. PADI diving certification classes. Open daily 9Am to 6PM (weekdays) and 9AM to 7PM weekends. Fees: Mon-Fri €14 whole day, €10 half day; weekends €15 whole day, €12 half day; plus sun bed rental €5. Circolo Valentini (Bufalotta) Via della Marcigliana 597 – Tel. 0687120207. Fiendly, family-run sports club that boasts a large outdoor swimming pool for children and adults. Entrance fees: weekdays €10 all day; €7 half-day; Sat-Sun €13 all day; €9 half day. Open weekdays 9AM to 7PM. 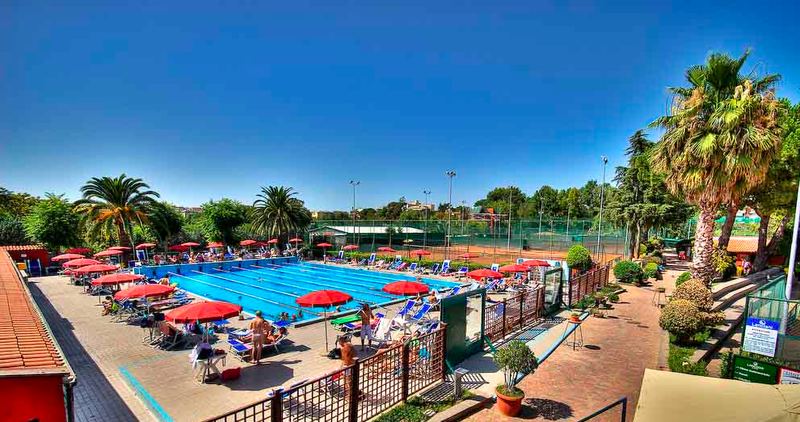 Tennis club and spa that offers all manner of classes and water sports, like hydro-bike, aqua-gym, pre-natal swimming, acqua-Pilates and infant swimming for children between 6mo and 3Y. Beds and umbrellas are free; entrance fee: €10 the full day, €8 from 3:30PM; €5 from 1 to 3PM; Sunday €15. Open daily from 7AM to 11PM – Closed the week of Ferragosto (middle of the month). H20 Fitness Center Via del Pigneto 108 (Pigneto) Tel. 062753877 A professional swimming pool which offers a great variety of water activities for babies aged 12 to 36 months, children and adults, including free swimming, aqua-gym and hydrobike classes. Free parking and Wi-Fi complete the scene. Open weekdays 8Am to 10:30PM; Sat 9Am to 8PM; Sun 10AM to 2PM. If the kids get particularly ansty, why not head over to Hydromania? Located on Via Casal Lumbroso 33 in the Aurelio neighborhood; Tel. 0666183183, this is a water park that offers water slides, wave machines, outdoor pools (also one for younger kids), tropical thatched roof bars, shops and a mini-club. Entrance fees: Adults €19, children €14, half-day €14/€12. Open Mon-Sun 9:30AM – 6:30PM. 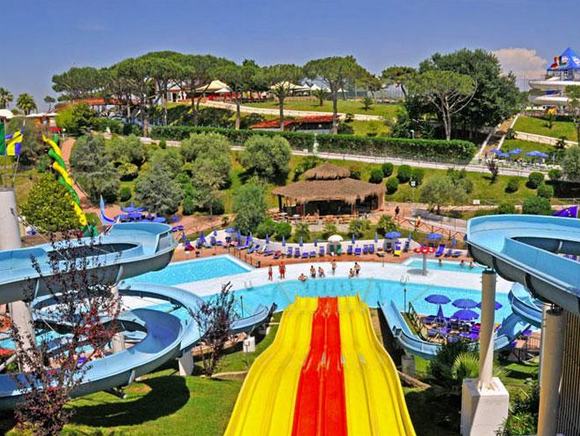 Another one of Rome’s acqua parks is Zoomarine in Pomezia, where besides dolphin shows, falconry, water slides and roller coasters, there is also a wave pool with sandy shores and floating rafts. Via Zara (Pomezia) – Tel. 06915341 – Admission fees: Adults €27; under 10 and over 65 years €20; kids under 3ft are admitted free. Open daily in summer 10AM to 7PM. Hi this is a great summary! Too many to choose from! Thank you for putting this list together. We are staying near Termini station and would like to find a pool to spend a day this week while we are in Rome on holiday. indoor or outdoor ideally less than 15 euro per adult. If you had to choose one or two from the list above which one would you choose? We’re not planning to rent a car in Rome, so we’re looking for pools that are accessible by public transport, and not too expensive. Do you have any opinion on Piscina delle Rose, versus Nuoto Belle Arti? Thanks in advance for any information that can help us decide! This website is great!! Piscina delle Rose is always a good choice, although Belle Arti is easier to reach (tram #3). I must add a few more new entries to this list so stay tuned! Great list of pools! I loved the pools in Berlin, and i hope to check out some of these pools the next time I’m around! This very helpful information on some lovely looking swimming pools. Back to School in Roma!